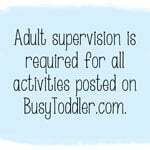 Need a quick toddler activity? 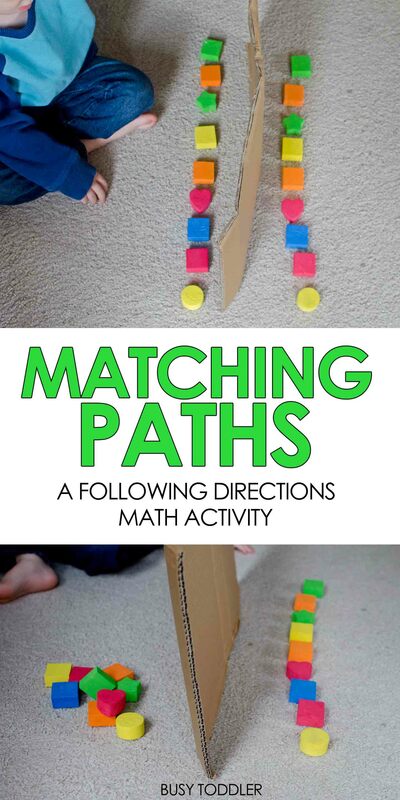 Play matching paths! 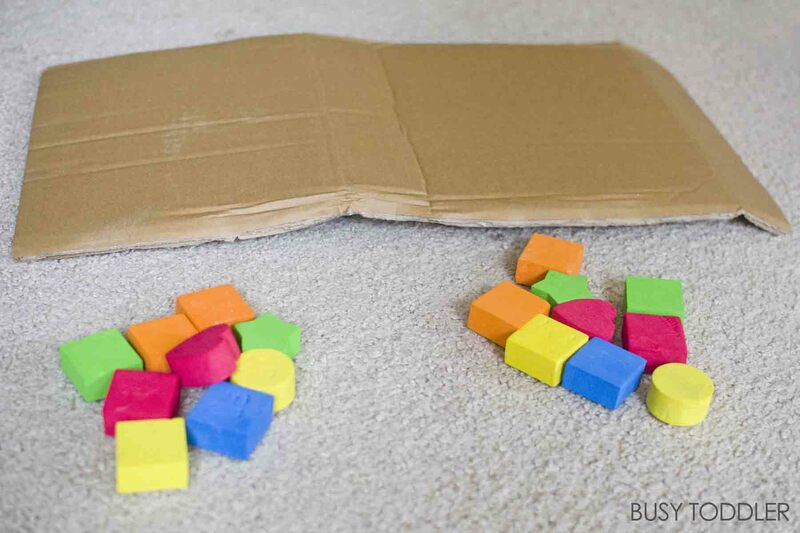 Sometimes, it’s the simplest activities that can pack in the most learning opportunities. 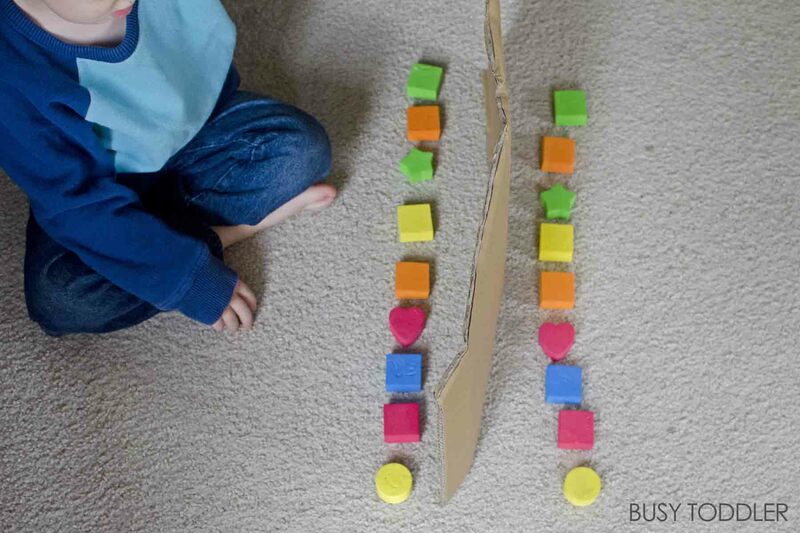 Take this easy activity, matching paths, which involves direction following, ordinal numbers, and important vocabulary. All from a few blocks and a piece of cardboard? You betcha! Ordinal numbers are first, second, third, and so on. For the toddler crowd, just getting to “third” seems great to me. 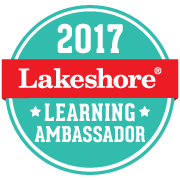 By Kindergarten, a kiddo might be learning to count to the twentieth position. 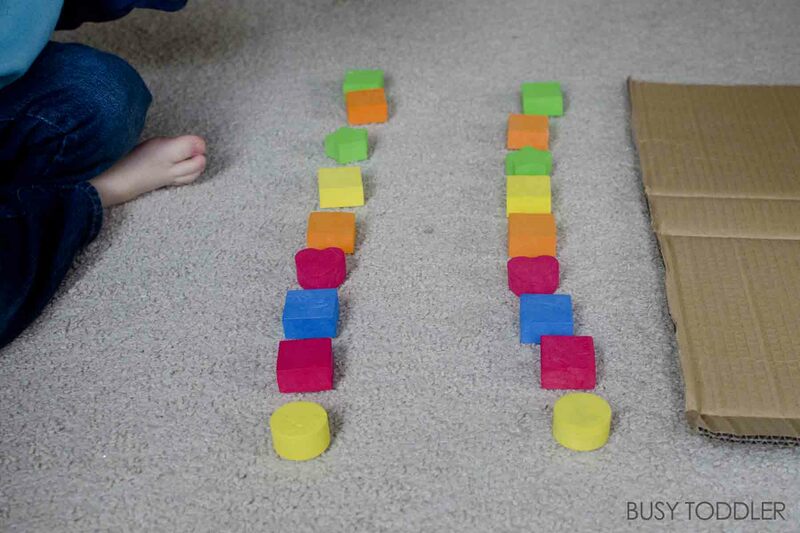 This activity is a great intro to ordinal numbers, among other key skills. It couldn’t be easier to play matching paths! 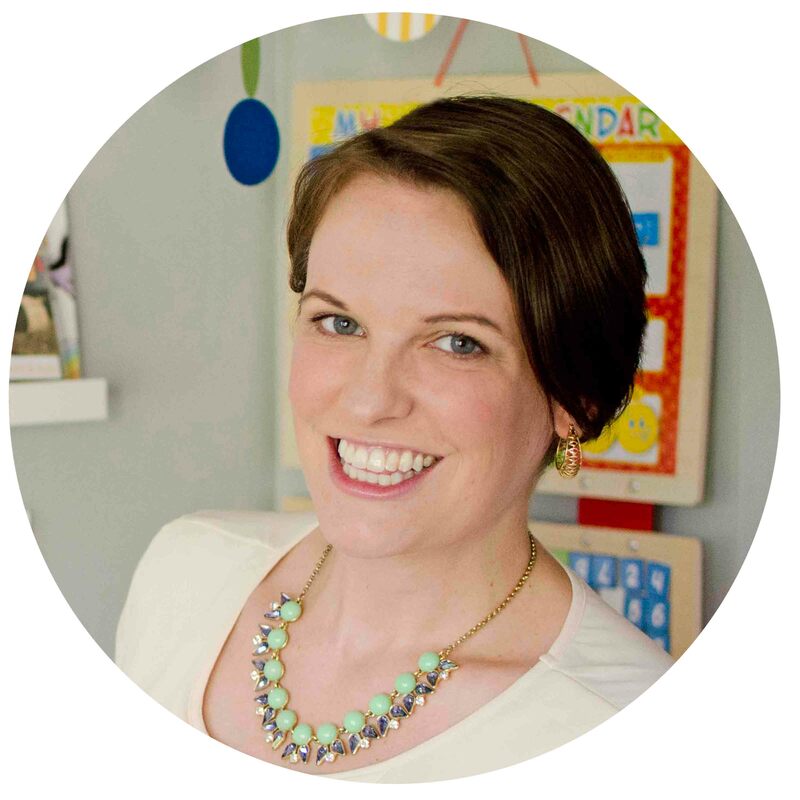 I pulled out 9 blocks for myself and my toddler. I made sure that we had the same number and an identical set. I held the cardboard between us making “his side” vs. “my side”. I first made my path. 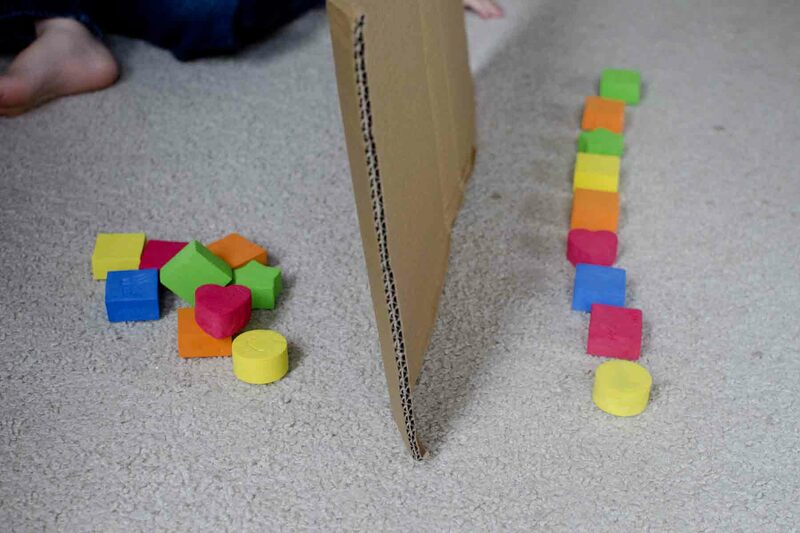 My toddler had his eyes closed and his vision was blocked by the cardboard anyways. The goal: listen to my directions to build a block path that is identical to mine. I began with ordinal numbers: first is a yellow circle, second is a red square, third is a blue square. I then switched to vocabulary words like “next” and “then”. I will say that sometimes my toddler got all the directions right, and sometimes he didn’t. This is an overhead photo of one of the correct and completely matching paths before the “big reveal”. He would giggle and clap when he saw he had done it right. In the future and going forward, I’d love to have my toddler start making his own path and directing me to build a matching one. Realistically, we are a ways out from that, but this is one of those simple activities that I keep in my back pocket. It’s even good at restaurants (think matching paths of sugar packets). 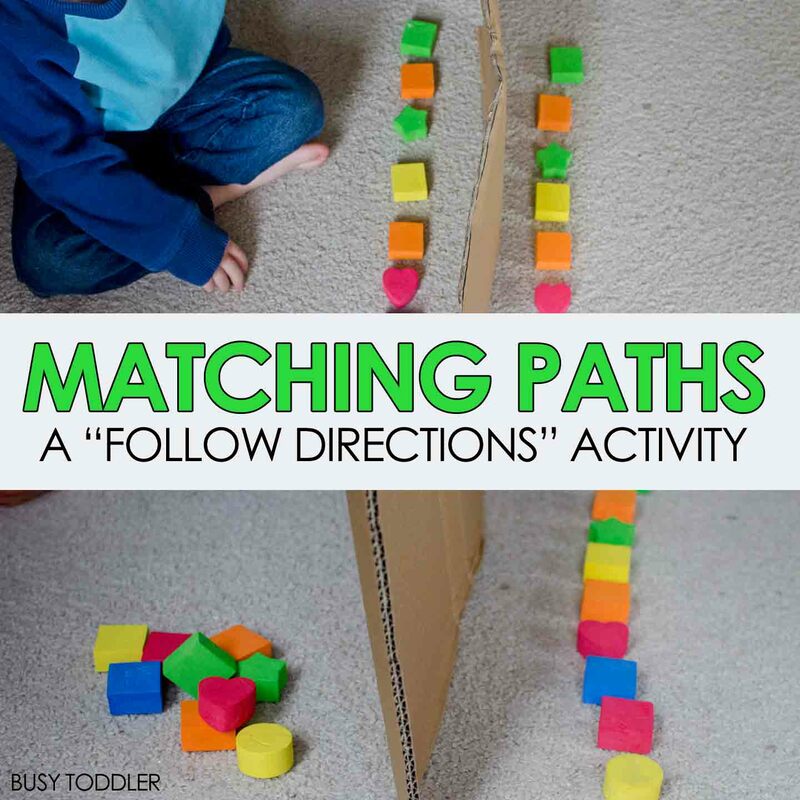 Matching paths is a quick activity that teaches a lot of skills.